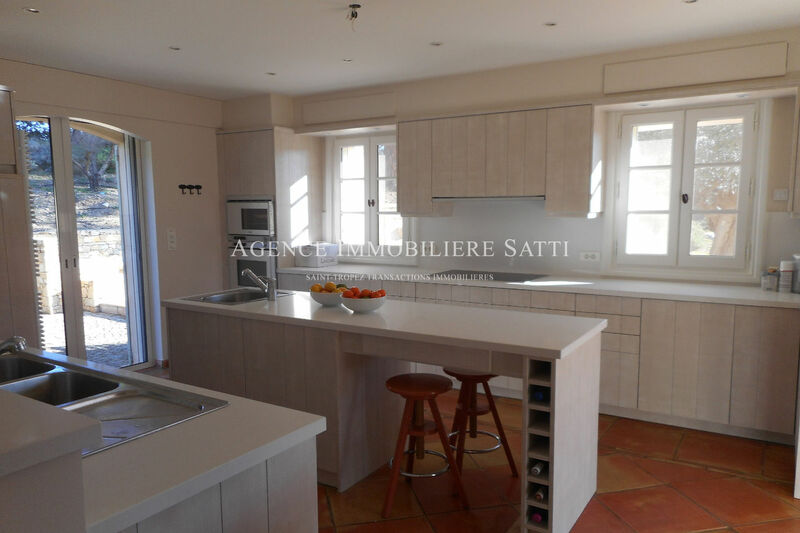 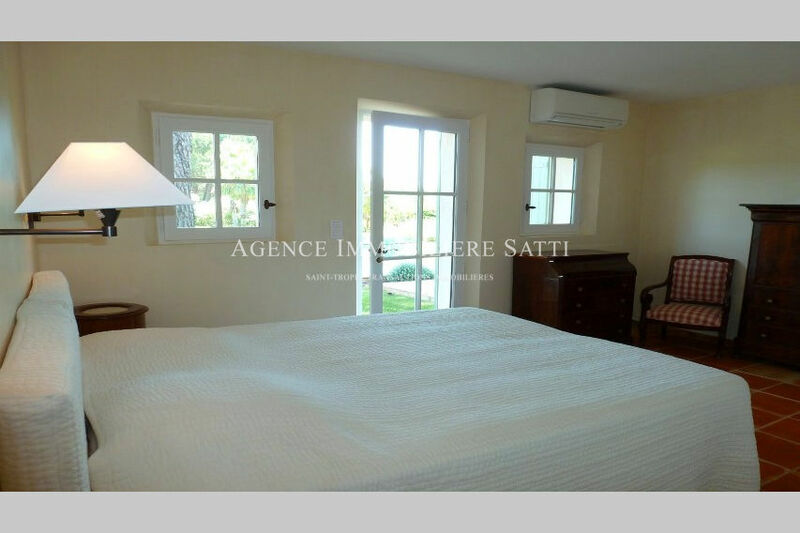 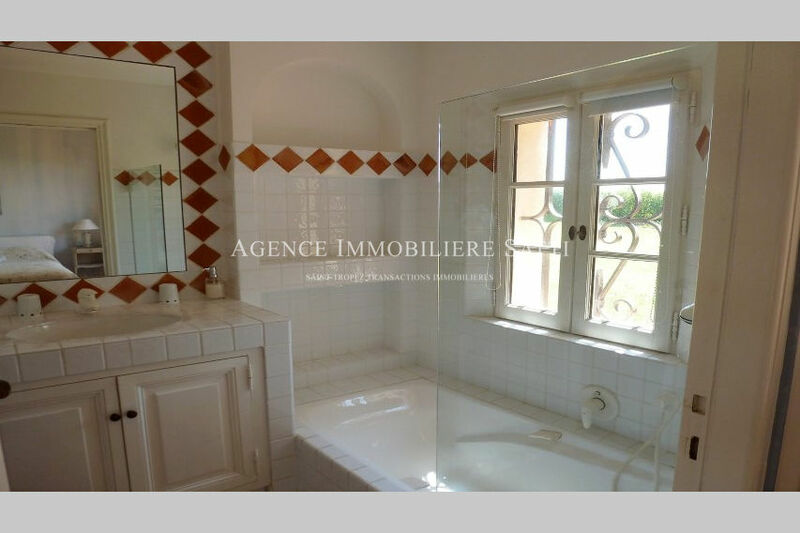 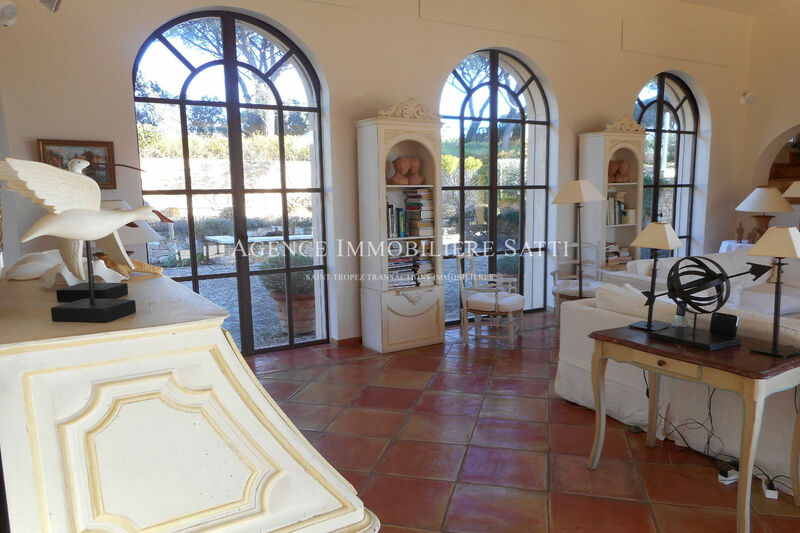 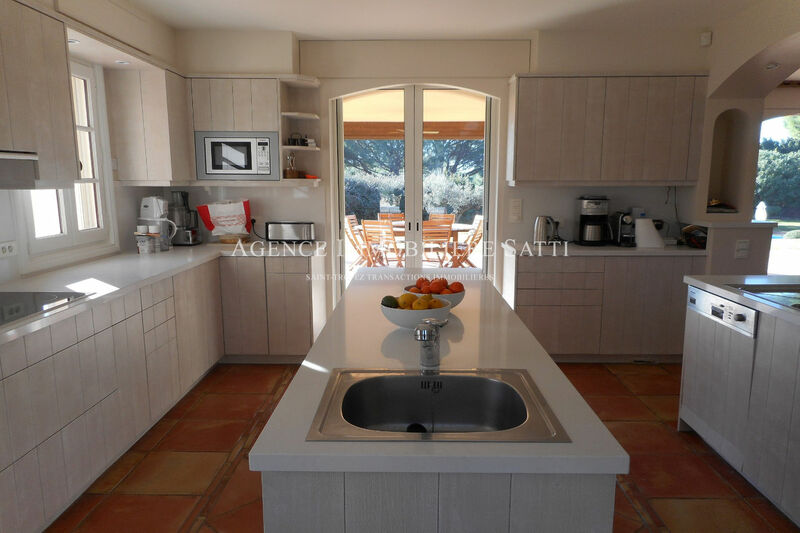 Very beautiful and large provencal villa ideally located in the heart of the famous private and secure domain "Les Parcs de Saint-Tropez". 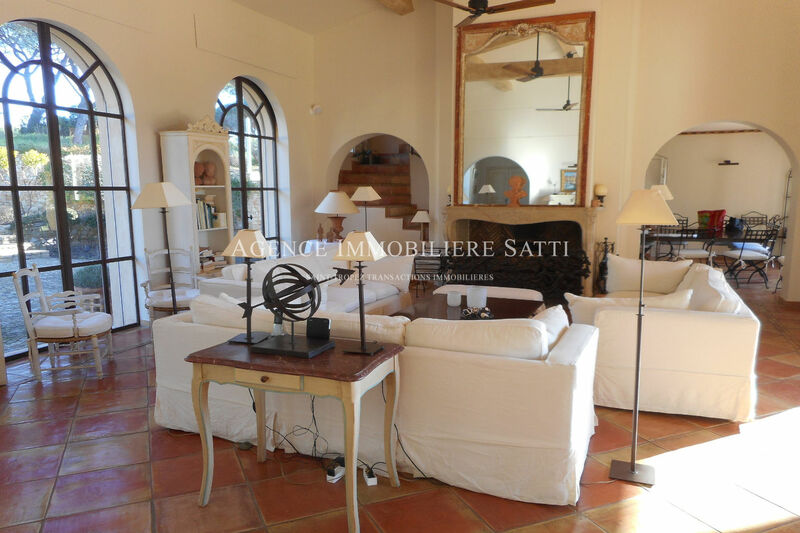 The main house is composed of: entrance hall, a large living room with fireplace and with access to the covered terrace, dining room and a well equipped kitchen. 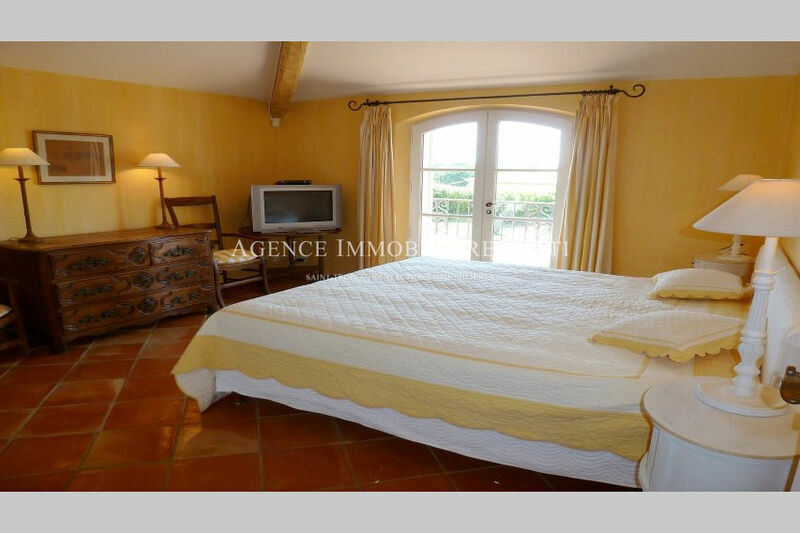 1 double bedroom with ensuite bathroom and access to the garden and 3 bedrooms on the first floor with their private bathroom. 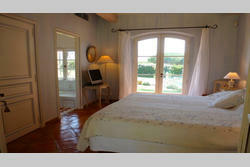 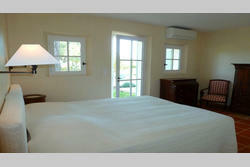 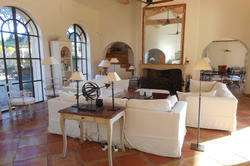 The master bedroom also has a private terrace overlooking the pool and with small sea view. 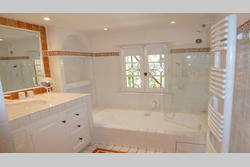 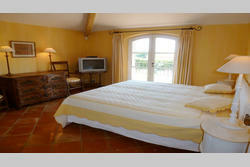 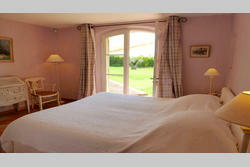 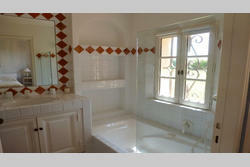 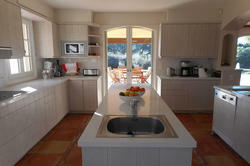 There are 3 further double rooms with private access, each with its private bathroom and access to the garden. 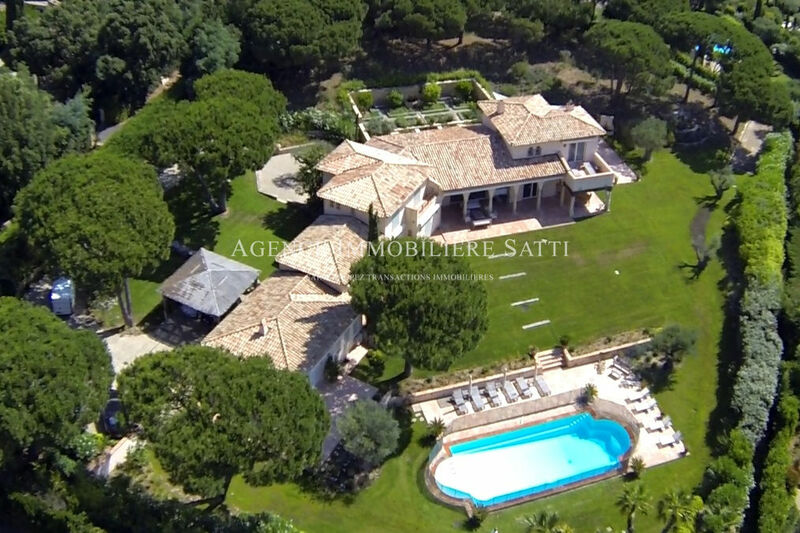 In the well landscaped garden with flowers and a large lawn, there is the large swimming pool (16x6m which can be heated) surrounded by sun loungers. 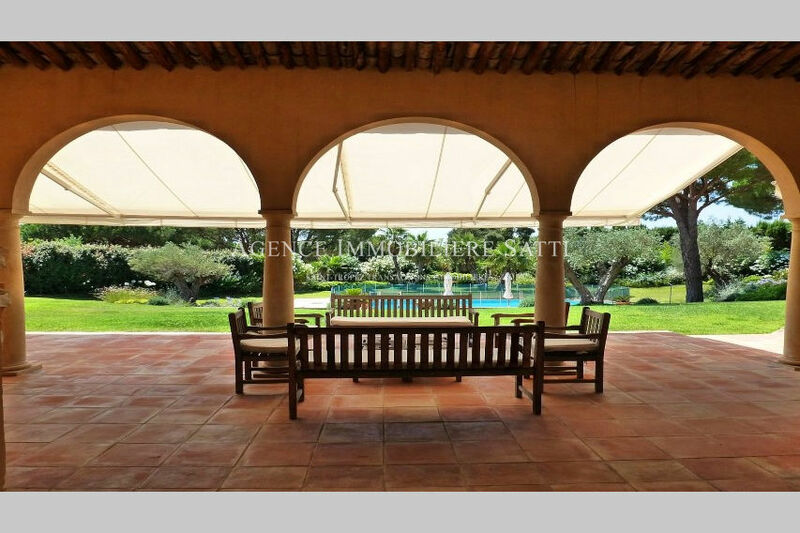 There are several terraces (400m²) some covered (200m²). 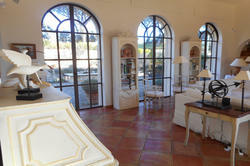 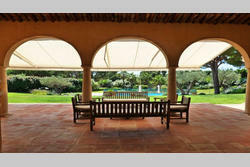 A patio with two fountains and garden of aromatic herbs and citrus trees.